Beautiful handmade lantern made ​​of goatskin. 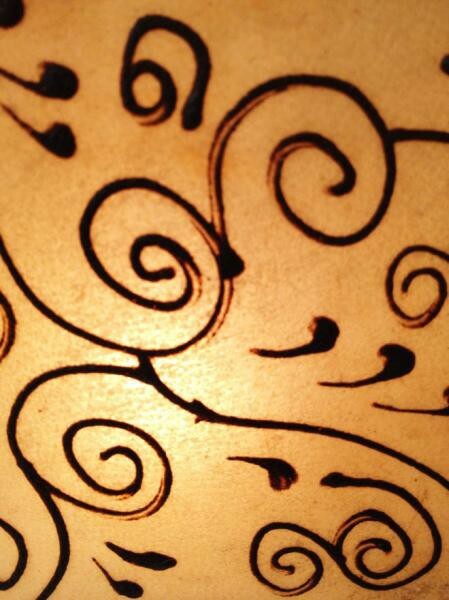 In order to create an environment where the atmosphere, in particular call on the details. 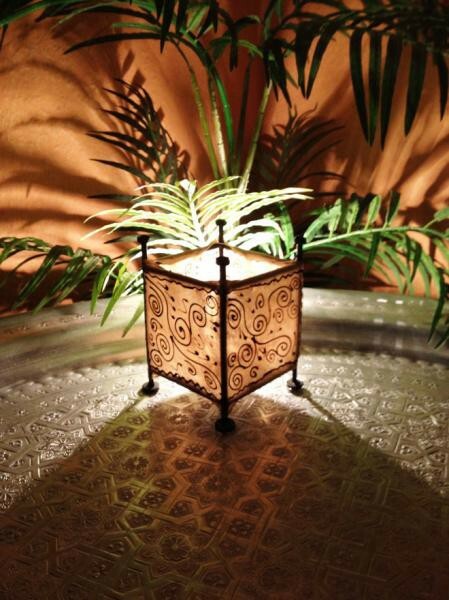 Small home accessories with great effect. 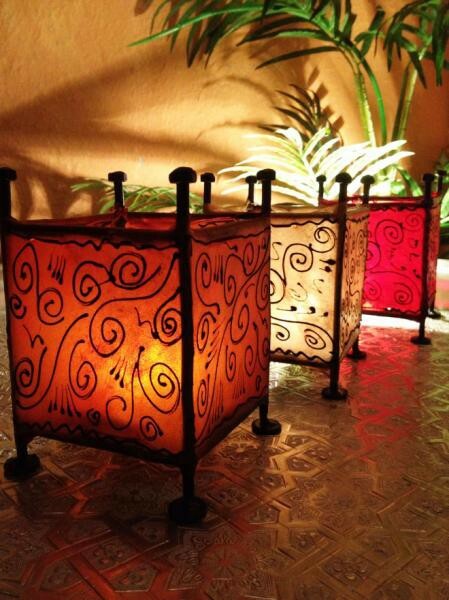 Our leather Lanterns are the classic among the oriental lanterns. Very natural in comparison to what both the materials concerned, and the light gives off that. 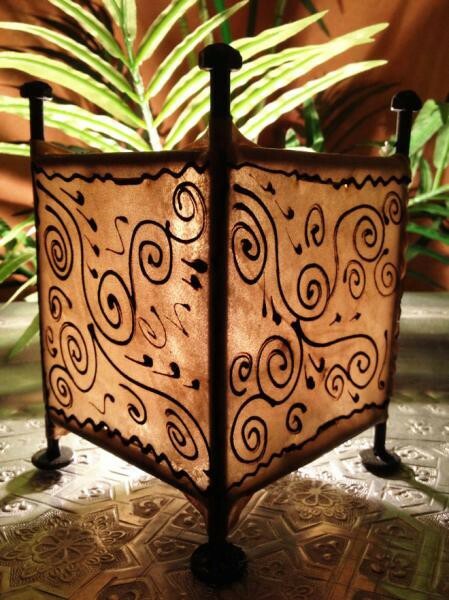 The demanding production of leather Lanterns demand the utmost craftsmanship skill. 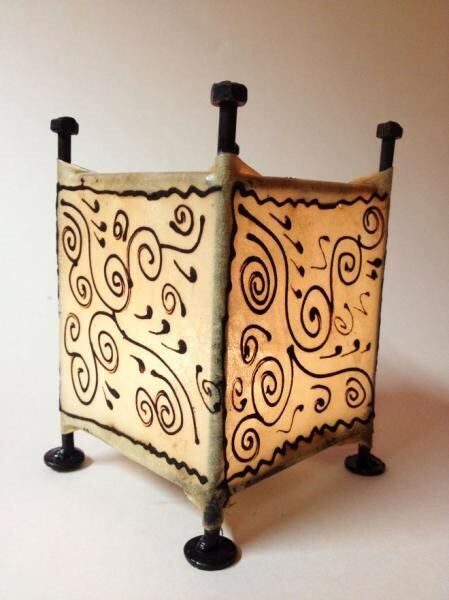 Racks made ​​of wrought iron, covered with goatskin (odorless) and then hand painted with henna. Every piece is a "Highlight".